Bird As A Pet- Look Out For These Health Issues! According to 2015-2016 APPA National Pet Owners Survey, around 6.1 million households own bird as a pet in the United States of America. And the number of birds owned by the USA is 14.3 million. Where the number of the birds is reaching millions, the awareness regarding their health issues is essential. To keep your pet birds safe and healthy, it is inevitable to look out for the dangers that might affect their health. Let’s check some of the most common health issues that you may need to look out for as a bird owner! Egg Binding- You can breathe an easy breath if you own a male bird. Egg binding is a condition that affects female birds reached their age of breeding. It is a lethal condition that may need an instant veterinary advice. The common symptoms of egg binding in female birds are rapid breathing, swelling, constipation, fluffed up feathers, straining to pass their eggs and sitting on the cage floor for most of the time. If you observe any of these symptoms, it is recommended to get your feathered pet checked up. Parasites- Dogs, cats and humans are commonly known for catching parasitic infestation. But as it seems, birds also have the equal chances to get a parasitic infection. It is important to monitor your pet for internal or external parasitic infection, as they are likely to catch both. The most common parasites that may infect your birds are roundworms, Aspergillosis, Giardia, scaly face mites and Sarcocystis. Stress- It is hard to imagine birds being in stress, isn’t it? Though it seems odd, birds can be under stress if the environment of your house in not favorable. Different things like the presence of dogs, cats or a bully kid may put your feathered pet under stress and make them sick. These signs may let you know that your bird is going through tough times: Stress bars on the feathers, aggression, fearful behavior, loss of appetite and destructive behavior. Avian Flu- Although most of the cases of Avian flu involve birds raised for slaughter, pet birds are equally likely to get affected by this disease. It can affect any bird species, including parrots. It is recommended to consult an avian vet of any symptom of this flu is detected. Psittacine Beak and Feather Disease (PBFD)- This can be a nightmare for bird owners as it is caused by the most deadly virus. There is no known cure for this disease and is highly contagious. If you have more than one bird pet, it is recommended to isolate the infected bird. The most common symptoms of PBFD are unusual droppings, ruffled feathers, cloudy eyes, reduced appetite and red, inflamed or runny nose (cere). Look out for these symptoms and consult a vet at the earliest if you see any of it taking on your bird. These health conditions are potent enough to take your bird away from you forever. It is essential to get him/her checked regularly. Early detection of these diseases may definitely help you to cure your feathered pet at the earliest. 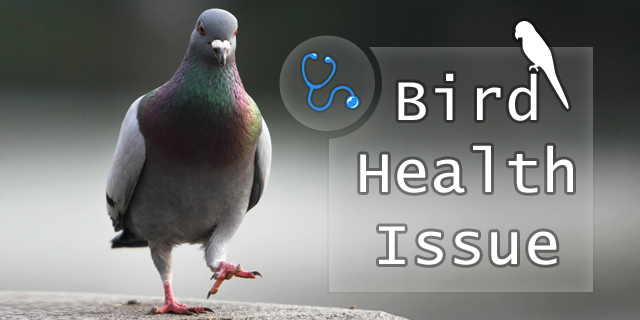 Look out for these health issues and save your bird! 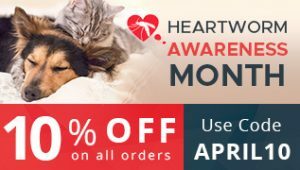 NEXT POST Next post: Heartworms In Dogs- Facts And Figures!